The smell of fresh brewed coffee wafts out of Snoopy’s Vintage Cafe. 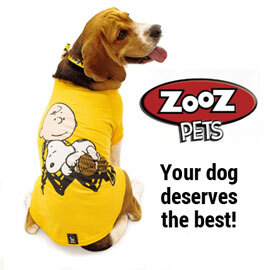 Walk in an take a seat at special Snoopy table. Read a Peanuts magazine while you indulge in a plate of strawberry waffles. Stay for lunch and have a hamburger followed by a delicious salad. Woodstock is here at the cafe, too. He invites you to have a cup of tea, hot chocolate or a refreshing fruit juice. Don’t forget a piece of cake or muffin for dessert! Treat yourself to a cup of coffee at Snoopy’s Vintage Cafe by watching our video. Be sure to subscribe to our Youtube channel for notifications on the next Snoopy miniatures reveal. 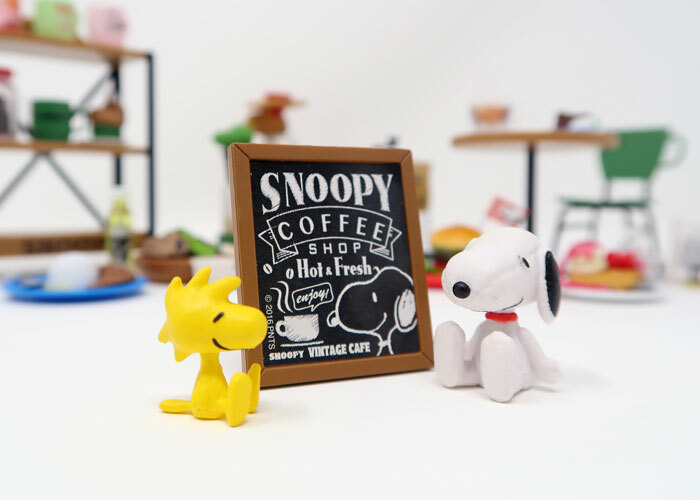 Snoopy’s Vintage Cafe is produced by Re-Ment, a Japanese company known for miniature dollhouse-sized figurines and food, plus other toys. Re-Ment has multiple Peanuts themes available including Chocolate Cafe, Happy Camp, Hawaiian Cooking and more. Each theme has six to eight figurine sets available in blind boxes. With blind boxes, you don’t know which set you’re getting until the packaging is opened. Re-Ment also makes toys for Disney, Pokemon, Rilakkuma, Hello Kitty, Sanrio, Gudetama and more. If you’d like these adorable Snoopy dollhouse miniatures for your collection, you can shop Peanuts Re-ment on Amazon and eBay. (affiliate links) You can buy the entire set by looking for 8 piece sets in the original display box. With the original display box packaging, you’re ensured to get one of each type. You can also buy the figure sets individually. By buying though the links on CollectPeanuts.com, you help keep these videos coming no matter what you purchase.